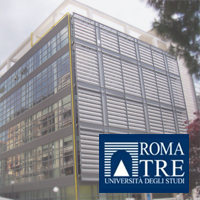 The Centre of excellence Altiero Spinelli (CeAS) was founded on the initiative of the Jean Monnet Chair of EU law and institutions, active since 1999. CeAS comes within the network of the Jean Monnet centres of excellence, operating in in the field of European studies, in order to promote and develop research and study activities, advanced training courses (masters and post-graduate courses), conferences, seminars, publications, and cultural events concerning the European integration process. CeAS celebrated its tenth anniversary in 2013: for an overview of main events, publications, researches and activities realized and developed during the period since its establishment see the brochure 10 Years of activities 2003-2013. In addition, see also the account of activities, documents, audiovisual and multimedia materials collected in the Gallery CeAS 2003-2011. CeAS various activities are basically addressed to problems linked to institutional, legal and socio-political issues concerning the integration process and citizens' participation to the democratic life of the Union, in the aim of promoting EU values and policies towards "an ever closer union among the peoples of Europe", synthetised in the long title of "Centre Altiero Spinelli for the Europe of peoples and peace in the world"
The Centre is established as centre of excellence of the University Roma Tre (Rome, Italy). In the contemporary world, cultures are no longer isolated. They interact and influence each other. Increased mobility coupled in particular with migration flows have brought others very close to us. These "others" no longer live in some distant country, but right in our own town or neighborhood. These phenomena have gradually eroded and discredited the centrality of the European/Western paradigm. Keeping in mind the basic ambivalence of the risks/benefits potentially arising out of the cultural diversity, the problem still remains: how could we then cope with this challenge? - to carry out a dual logic, calibrated on the opportunity (if not the necessity) to get rid of the oppositional logic ("aut-aut") and rely on a conciliatory one ("and-and"), that is to say the "inclusive distinction;"
- to accept reality of things, without however being resigned to the idea of an amalgam of unresolved contradictions, but as a possibility of a mixed blend of cultural identities characterizing a condition of multiple affiliations. Along this path of reasoning, we believe that a main question is: what kind of new thoughts, language and transmission in the fields of Research and Education are needed to develop a quality of citizenry which can bring about change towards the attainment of better societies now and in the future? Therefore, CeAS will be committed to efforts aimed to generate shared cultural expressions through an integrated agenda of research projects, educational activities, dissemination and partnerships in order to develop peace and intercultural dialogue within Europe and the whole Mediterranean region towards the pluralist transformation - also through new technologies - of public space, institutions and civic culture, with an eye also to worldwide scenarios, taking into account the centrality of the Euro-Mediterranean region in the balance of international relations. The Centre is engaged principally in thematic sectors, such as: European citizenship and fundamental rights, area of freedom, security and justice, judicial cooperation; European legal systems and uniform law; European social model, asylum and immigration policies; Euro-Mediterranean integration and intercultural dialogue; European Union external action, security policies, cooperation development and humanitarian aid. Other fields covered are: single market and consumer law; environmental protection and sustainable development. All CeAS activities are documented and made available through publications and by direct access or on a registration basis, in our website and also through audio-visual resources. In this way, we aim to take an active part in the debate on institutional dynamics and socio-political and cultural issues affecting the progress of European integration process. CeAS comes within the network of the Jean Monnet centres of excellence, operating in in the field of European studies, in order to promote and develop research and study activities, advanced training courses (masters and post-graduate courses), conferences, seminars and publications, and to offering moreover assistance and consultancy in areas of competence of the European Union. CeAS collaborates with various institutions, public authorities and private bodies, research centres, higher education institutes, organizations and associations, both in Italy and abroad, for the development of scientific and cultural activities in the field by and large of European studies. CeAS is also engaged in a wide range of events, by organizing regularly conferences, meetings, seminars, debates, with the participation of scholars, experts, professionals and representatives of institutions and civil society. CeAS main printed publications are: the bi-annual journal "La cittadinanza europea"; the series of monograph studies "Quaderni del Centro Spinelli." CeAS main online publications are: the quarterly Newsletter; the series of Working Papers. CeAS also supports and organizes the II level post-graduate course (Master) in "European citizenship and Euro-Mediterranean integration. Cultural heritage as a factor of cohesion and development." The Centre, in support of its activities, provides fellowships for young researchers. A Jean Monnet Centre of Excellence gathers the expertise and competences of high-level experts (including Jean Monnet Chairs and/or Jean Monnet Module coordinators) and aims at developing synergies between the various disciplines and resources in European studies, as well as at creating joint transnational activities and structural links with academic institutions in other countries. It also ensures openness to civil society. Jean Monnet Centres of Excellence have a major role in reaching out to students from faculties not normally dealing with European Union issues as well as to policy makers, civil servants, organised civil society and the general public at large. systematic publication of the results of research activities.